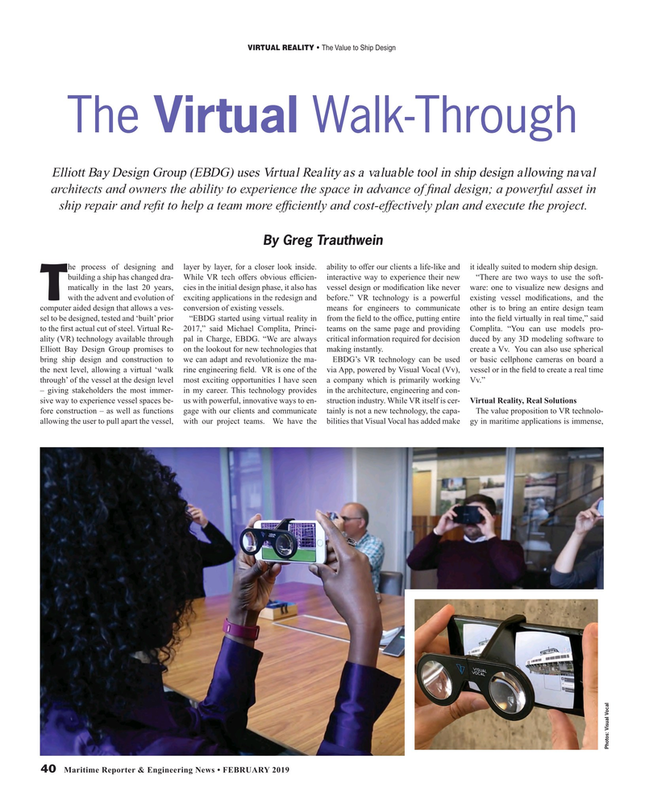 Elliott Bay Design Group (EBDG) uses Virtual Reality as a valuable tool in ship design allowing naval architects and owners the ability to experience the space in advance of fnal design; a powerful asset in ship repair and reft to help a team more effciently and cost-effectively plan and execute the project. By Greg Trauthwein he process of designing and layer by layer, for a closer look inside. ability to ofer our clients a life-like and it ideally suited to modern ship design.